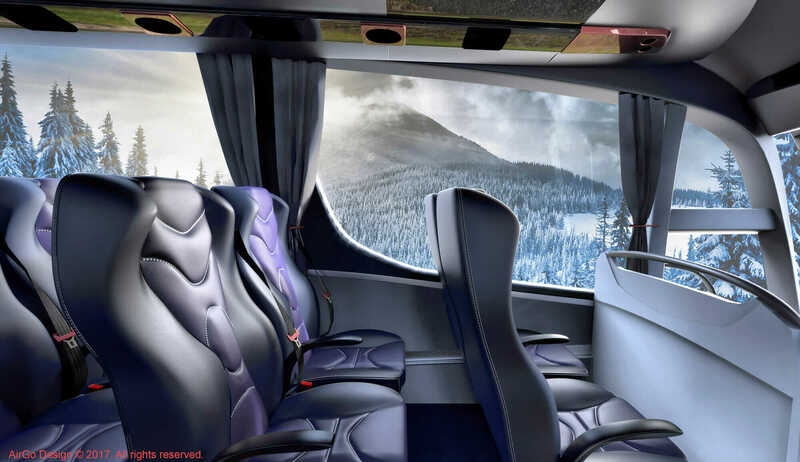 A view of the new AirGo Njord bus seats. Courtesy AirGo. When it comes to public transportation, it can seem like passenger comfort ranks last in the list of mass-transit priorities—which becomes especially vexing on longer trips. But Singapore-based startup AirGo Design is working to change that. The company has already successfully challenged the $735 billion airline industry by revolutionizing the economy-class passenger seat and is readying to expand its reach to marine (ferry) and bus seating. Tackling these other transit industries wasn’t always part of the plan. AirGo first gained traction with its ultralight, ergonomic, and thin seat frame designed for existing long-haul economy airline seats. Persuading airlines to upgrade was another challenge in itself: Tight regulations and tiny profit margins plague the industry. But after many tests and certifications, the startup’s airline seats are expected to be in mass production by 2018 and implemented in 2019. Then last year, AirGo was approached by a company that makes marine products to revamp its ferry seats. AirGo seats promote a healthier sitting posture. Courtesy AirGo. 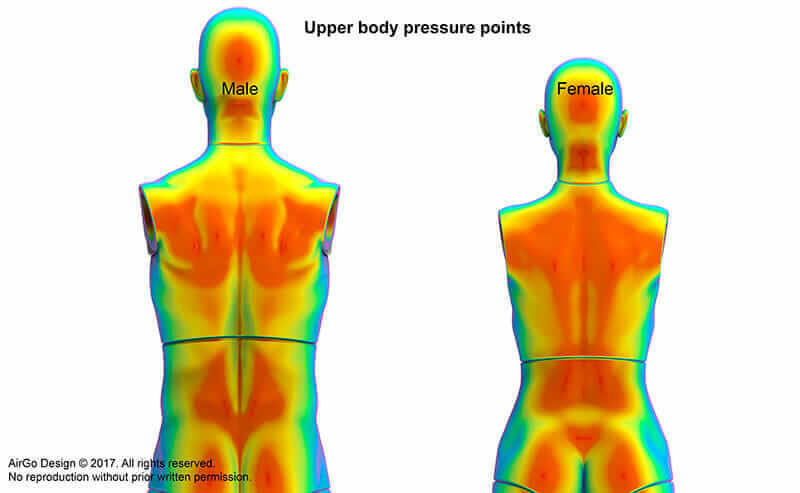 This 3D scan shows that male backs curve backward while standing. Courtesy AirGo. To develop its seats, AirGo took 3D-scanned versions of roughly 10 males and 10 females who were shorter or taller than average: 65–75 inches for males, 61–71 inches for females. By covering this range, Yaghoubi says, AirGo produced three standard models (short, average, tall) for males and females as guides to design a general contour of the seats. The contour derives from a range of nodes (points in the scan) taken from body parts that are generally different from person to person—think kneecap position, neck height, lower-back curve. The backrest curvature of the AirGo Njord seats follows the human body contour to provide greater lumbar support. Courtesy AirGo. A typical body scan takes only about five minutes. Courtesy AirGo. AirGo maps and tracks a range of nodes (points in the scan) that are critical to its design. Courtesy AirGo. That’s why AirGo seats can be sprayed with a water-based fluoropolymer emulsion that is superamphiphobic, which makes it stain resistant and contains antimicrobial properties that keep food, oil, bacteria, and odor out. As a result, AirGo can produce seats in modern and vibrant colors. Among airline, bus, and marine seating, each product differs due to the types of upholstery available for aircraft or bus models. 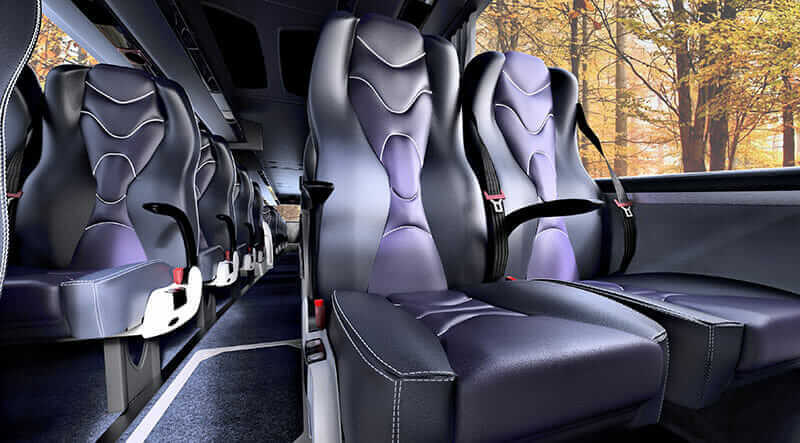 Yaghoubi says implementing bus and marine seating is much easier than airline seating because AirGo can team up with other bus-seat manufacturers—like Khimaira Oy (Finland)—which already have industry-certified bus frames. He hopes to be showing the prototype to a major bus manufacturer in Europe within the year. The company’s design process also includes prototyping different types of upholstery and laminating the cushion in order for it to have osteomorphic design, which means the seats have foams of different densities arranged in geometrical patterns that support different pressure points. So as a passenger (of any size or shape) sits, the cushion responds to different amounts of pressure, which increases blood flow and reduces numbness. The improved back support and seating posture of AirGo’s seats yields more leg room within the same footprint as current seating arrangements—an important consideration for airlines looking to maximize space. Better design can mitigate the approach that’s been taken so far: to jam as many seats as possible into a set space, especially on planes. 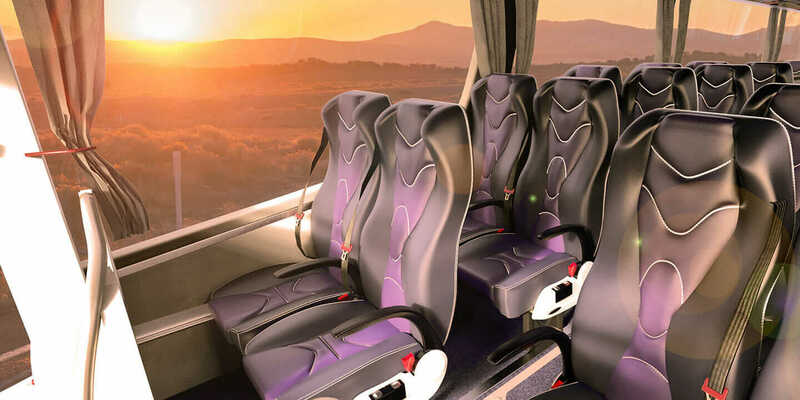 Using lighter, more ecofriendly materials and an approach that prioritizes comfort could be a win, both for passengers’ bottoms and the transit industry’s bottom line.